I have experienced while working from DTC team building. There is too much enjoyment to work in an awesome company. I had started working with minimal knowledge. Now I will leave with the realization that what I learned from college has got nothing on this, that I have gained a ton of new knowledge in the field I am passionate about, and that I will be proud to have worked for DTC. What I obtained from this work experience has surpassed far beyond my expectations when I have first applied for internship. 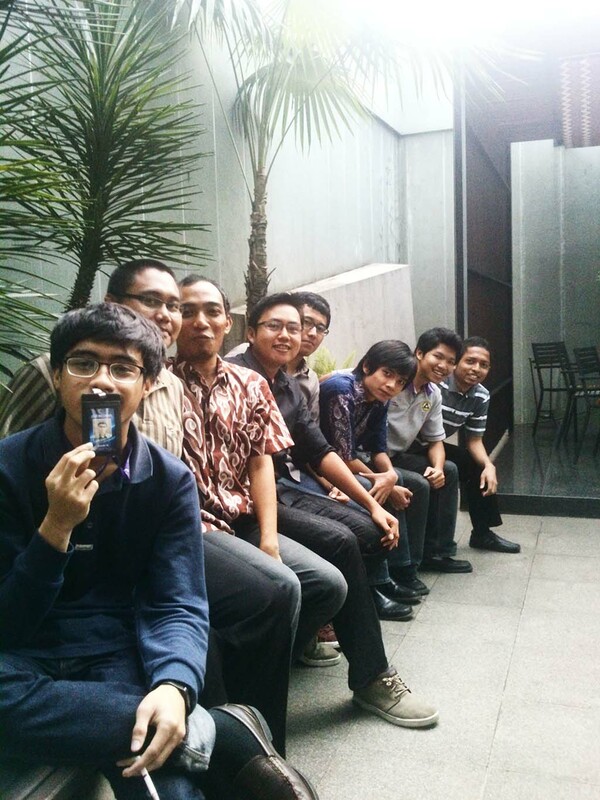 Thank you to the application team (Mas Rommy, Mas Putra, Mas Yudha, Masrura) who has shared invaluable knowledge to me. Thank you for the DTC team for the unforgettable experiences. Thank you DTC for the new knowledge, new experiences, and new friends. I will do my best to develop all that I have learned here in my life. Pardon me if I have done any mistakes and thank you once again. This entry was posted in Uncategorized and tagged story.